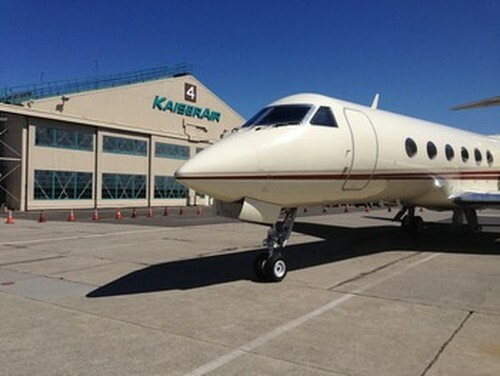 KaiserAir is a full-service, world class FBO operating out of Oakland, California. 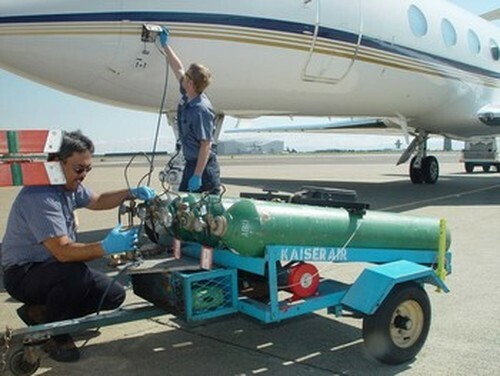 KaiserAir provides NATA Safety First Line Services and offers the lowest fuel price in the Bay Area. KaiserAir’s Jet Center at Oakland is serviced by two separate ILS approaches, spacious ramps and 24-hour terminal operations with no curfews or other restrictions. Our headquarter facilities are in 2 hangar buildings (hangar 4 and hangar 5), 2 terminal buildings and a fuel pump station totaling 20 acres (150,000 square feet). 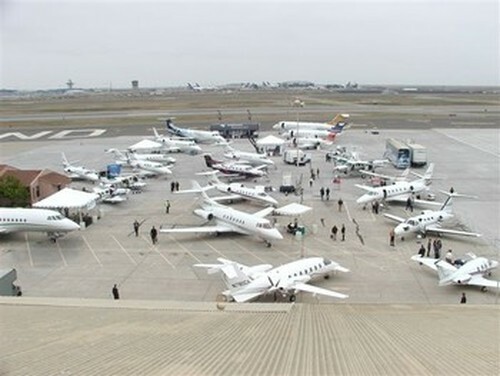 Oakland Jet Center Terminal Building: KaiserAir’s 5 star facility, open 24 hours a day, 365 days a year, offers a spacious passenger lounge, executive conference room and a crew suite with day room, shower and WSI satellite weather briefing station. In addition, line service staff offices and conference rooms. East Terminal Building: Scheduling and dispatch management offices, including pilots’ and chief pilot’s offices, pilot meeting rooms, private lounge/restroom/meeting area for in-house aircraft clients. Hangar 4: Administrative headquarters for the accounting, human resources, business development, marketing, and sales department offices (including the president’s office). 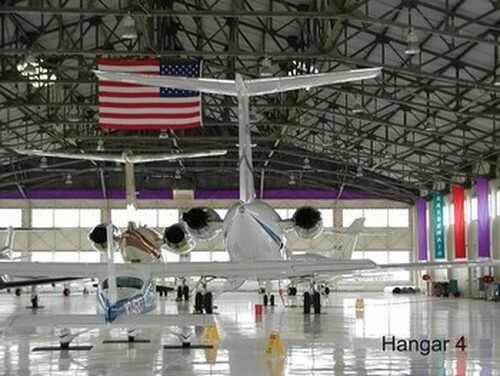 Hangar 4 also houses the aircraft of KaiserAir’s managed fleet owners/clients. In addition, Hangar 4 includes KaiserAir’s automotive maintenance shop, wheel and brake shop, battery shop, pilot training center, conference room, and secured storage for the belongings of private aircraft owners. Hangar 5: Maintenance headquarters for the maintenance staff offices and facilities, including KaiserAir’s electrical shop, upholstery shop, parts warehouse, aircraft records, library, meeting/conference rooms, and maintenance housing for our managed fleet of 7 aircrafts and helicopters and outside clients that desire our maintenance services. 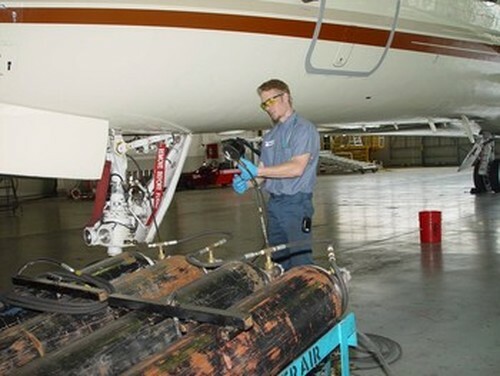 KaiserAir’s services include first-class line service, aircraft maintenance, wheel & brake, battery, upholstery, and sales/acquisitions. KaiserAir operates 24/7/365. Rental Cars available on-site - TWO New Cars! Straight-through access from road to airplane. Gourmet Coffee and outstanding cookies! We take care of your fuel needs. Our oxygen service helps keep you breathing freely. 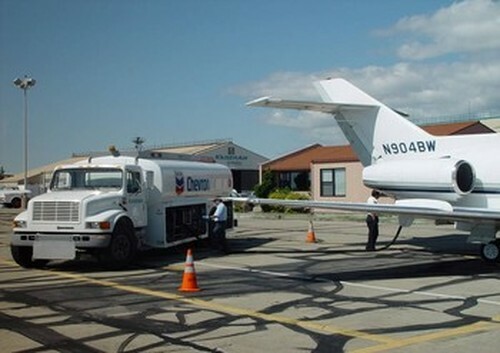 Our nitrogen service helps make for smooth landings.